This 3 inch diameter Off Road Y-pipe is exclusively for use with PaceSetter Quik Trip Long Tube Headers for 2007-09 Chevy Silverado/GMC Sierra with 2- and 4-wheel drive and 4.8L, 5.3L and 6.0L engins (header part #70-2267). The 16-gauge tubing is aluminized for longer life. 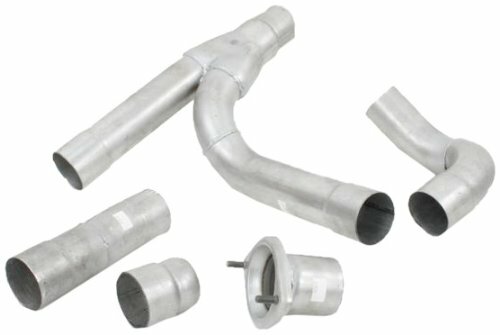 The Off Road Y-pipe is designed to connect the long tube headers to the stock or stock replacement exhaust system. All clamps, necessary fasteners and instructions are included. Note: This Off Road Y-pipe will not work with other brands of long tube headers.